1. 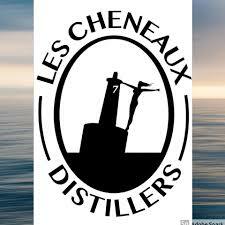 Les Cheneaux Distillers, Cedarville (172 Meridian St.) – We get things started with a stop in the southeastern U.P. near the beautiful Les Cheneaux Islands. There are several breweries on this list that also make their own wine, but Cedarville’s Les Cheneaux Distillers is the only one on this list that also makes their own spirits. Popular beers here include Island Hopper (double IPA), Dark Side of the Brew (American stout), and Moon Over Mackinac (witbier). 2. 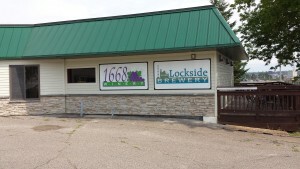 1668 Winery and Lockside Brewery, Sault Ste. Marie (100 W. Portage Ave.) – Located just a few blocks from the Soo Locks, Lockside Brewery joined the U.P. 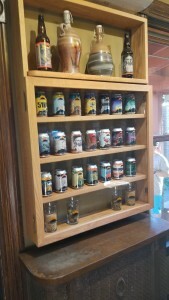 beer scene in 2015. Enjoy beers like Citra SM*SH and St. Mary’s River Red, as well as a food menu that focuses on handmade pizzas, paninis, and burgers. If you’re traveling with wine lovers, 1668 Winery offers an excellent variety of whites, reds, and fruit wines as well. 3. Soo Brewing Company, Sault Ste. Marie (223 W. Portage Ave.) – Our favorite thing about this brewery located in the heart of downtown Sault Ste. Marie is the relaxed and welcoming atmosphere. The furniture here is incredibly comfortable and mainstays like Laker Gold (blonde ale) and Maggie’s Irish Red have proven popular with locals and visitors alike. 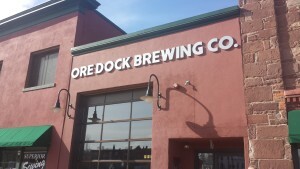 With the Soo Locks a block away, this is a great spot to stop and grab a pint while waiting to view freighters or when looking to take a break after walking the downtown shopping district. 4. 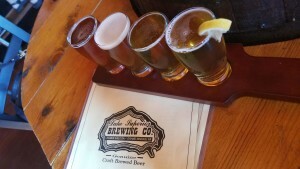 Superior Coast Brewery, Sault Ste. Marie (447 W. Portage Ave.) – From the patio here you can watch freighters go through the Soo Locks while sipping on cider or beers like Poe Lock Brown, Hodcarrier Stout, or Slugger O’Toole’s Irish Red. 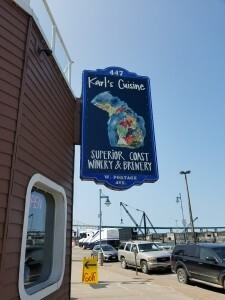 The food here is fantastic, for more information you can check out our full review of Karl’s Cuisine/Superior Coast Winery and Brewery. 5. 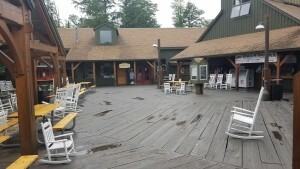 Tahquamenon Falls Brewery & Pub, Tahquamenon Falls State Park – Michigan’s only brewery inside a state park, Tahquamenon Falls Brewery and Pub is also one of its longest operating (dating back to 1996). Beers like Black Bear Stout, Porcupine Pale Ale, and Harvest Wheat Ale pair well with a full food menu that includes fresh-caught whitefish, steaks, pasta, sandwiches, and more. Be sure to check out the Upper Tahquamenon Falls, the state’s largest waterfall that is reached from the same parking lot as the brewery. 6. 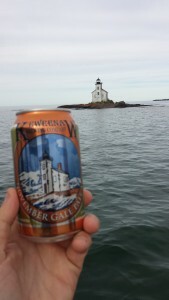 Lake Superior Brewing Company, Grand Marais (14283 Lake Ave.) – Grand Marais is located on the eastern edge of the Pictured Rocks National Lakeshore near the Grand Sable Dunes, Sable Falls, and other attractions. 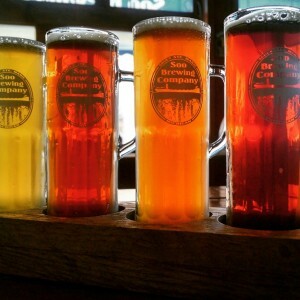 Snowmobile traffic keeps this small town busy in the winter, and as tourist head to Pictured Rocks in the summer, Lake Superior Brewing is a great place to quench your thirst before heading out on an adventure. Try beers like Cabin Fever ESB, Puddingstone Wheat, and Hematite Stout while enjoying a full food menu and a relaxed, small-town atmosphere. Be sure to check out the unique Pickle Barrel House down the street! 7. 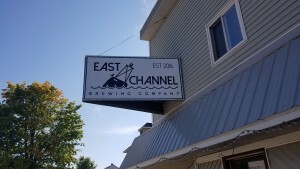 East Channel Brewing Company, Munising (209 Maple St.) – As visitors continue to flock to Pictured Rocks National Lakeshore in record numbers each year, it makes sense that Munising finally has a great craft brewery to be proud of. 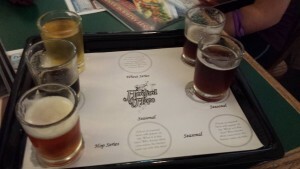 We visited in the summer of 2018, and enjoyed the Widdle Stick (s’more stout) and Fog Bank (IPA). 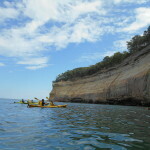 This taproom definitely has a small-town welcoming vibe to it, and is located just a few blocks from local restaurants and the Pictured Rocks Cruises boat dock. 8. 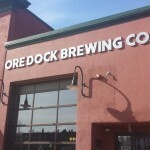 Ore Dock Brewing Company, Marquette 114 W. Spring St.) – You’ll find Ore Dock Brewing in downtown Marquette, just a few blocks from where large freighters used to load ore at a 1200 foot x 75 foot x 65 foot dock. This brewery has a laid-back vibe and plenty of space to sit and sip on favorites like Reclamation IPA, Bum’s Beach Wheat, Porter, and Fresh Coast IPA. 9. 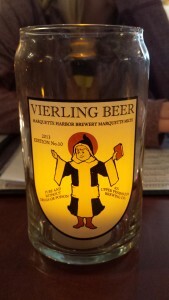 The Vierling Restaurant & Marquette Harbor Brewery, Marquette (119 S. Front St.) – The Vierling Restaurant is located in the heart of downtown Marquette (corner of Front and Main streets), in a building that is more than 100 years old. The storied history of this building includes serving alcohol both before and after prohibition, and in 1995 becoming one of the state’s first licensed brewpubs. We were happy to find 10 beers on tap in a variety of styles, with our favorite being the El Dorado Imperial IPA. The food here is fantastic, with options ranging from seafood and pasta to burgers and chicken or pork dinners. 10. 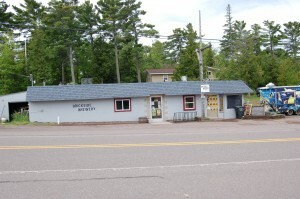 Blackrocks Brewery, Marquette (424 N. 3rd St.) – Located near the campus of Northern Michigan University, Blackrocks has quickly developed a reputation as one of the U.P.’s best breweries. There’s a surprising amount of room inside this renovated old house, and even more seating (and games) available outside. The 51K IPA is a must-try, other options include Grand Rabbits cream ale, Coconut Brown, Potter’s Porter, and North Third Stout. 11. barrel + beam, Marquette (260 Northwoods Rd.) 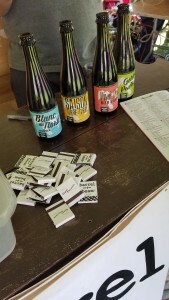 – One of the breweries we were most excited to see at last year’s U.P. Fall Beer Festival was barrel + beam, Marquette’s newest brewery that has found a niche by focusing on bottle conditioned beers. If you’re a fan of farmhouse-style beers, sours, or witbiers you’ll love what this brewery has to offer! The taproom is located inside a renovated building that was formerly a well-know supper club, and offers the welcoming atmosphere we’ve come to love about nearly all of our U.P. stops. Some of our favorites from barrel + beam include the Terre A Terre saison, Terre Magique wild saison (collaboration with Grand Rapids’ Specitation Artisan Ales), and the Queen City Brut. 12. 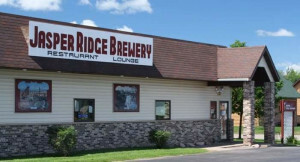 Jasper Ridge Brewery & Restaurant, Ishpeming (1075 Country Ln.) – Another one of the state’s oldest breweries, Jasper Ridge has been making beer just off of M-28/US-41 since 1996. Favorites here cover a variety of styles: blueberry wheat, raspberry wheat, brown, IPA, kolsch, and more. Restaurant options include pizzas, burgers, sandwiches, and more. 13. 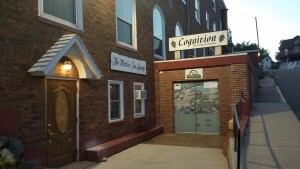 Cognition Brewing Company, Ishpeming (113 E. Canda St.) – Ishpeming’s other brewery is much newer but has quickly developed a reputation for its quality beers. Cognition is located in the heart of downtown, and offers traditional styles as well as frequent experimental beers. When we visited we were impressed with a tap list that included Black Mass Porter (porter with chaga and spruce tips) and Raglefantol (a sathi; Finnish style infused with juniper); other favorites here include Octopus Was Very Scary (Rocky Road imperial stout) and Gnome Wrecker (Belgian pale with orange peel, coriander, and grains of paradise). 14. 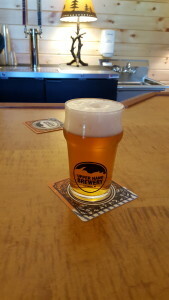 Keweenaw Brewing Company, Houghton (408 Shelden Ave.) – You’ve likely seen cans of Keweenaw Brewing Company beer in retail locations across the state, and a visit to their Houghton taproom is a must on a U.P. craft beer pilgrimage. Often full of students from Michigan Technological University, the taproom has a fun, relaxing atmosphere and offers many selections that don’t make their way into cans for distribution. The Widowmaker Black Ale, Red Jacket Amber Ale, and November Gale Pale Ale are classic favorites, you may get lucky and catch the Olde Ore Dock Scottish Ale, Stumpgrinder Stout, Galaxy IPA, or Wave Break Stout on tap as well. 15. 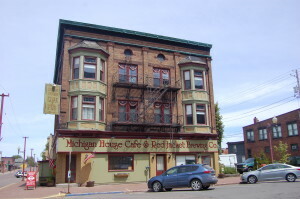 Red Jacket Brewing Co., Calumet (300 6th St.) – The Michigan House Cafe and Red Jacket Brewing Co. is located in historic downtown Calumet on the Keweenaw Peninsula. The building dates back to 1905 and features a large ceiling mural and massive wooden bar. Try beers like the Keweenaw Cowboy IPA and Oatmeal Express Stout while trying appetizers, seafood, sandwiches and paninis, burgers, and more. 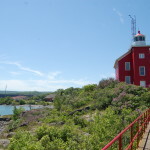 Be sure to stop by the historic Calumet Theatre, Italian Hall memorial, Coppertown USA Museum, and the Keweenaw National Historic Park headquarters while in Calumet. 16. 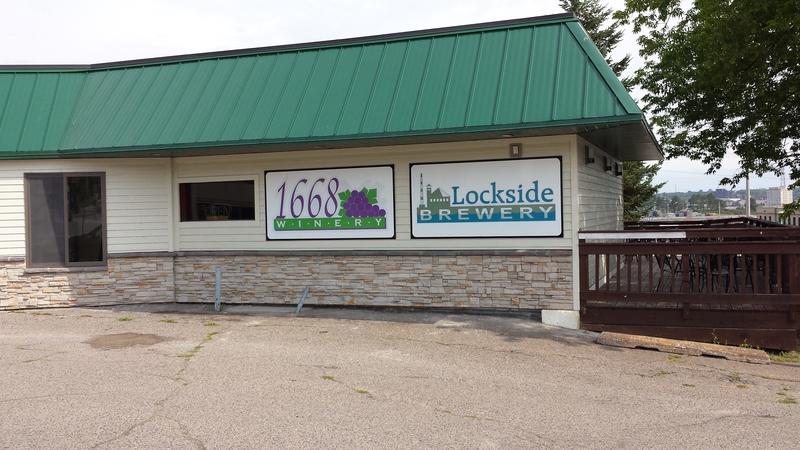 Brickside Brewery, Copper Harbor (64 Gratiot St.) – The distinction of being Michigan’s northernmost brewery goes to Brickside Brewery of Copper Harbor. The perfect addition to a four-seasons outdoor adventure destination, Brickside serves up beers including Park Bench Porter, Stone Ship Stout, and Fish Camp IPA at their small taproom. 17. 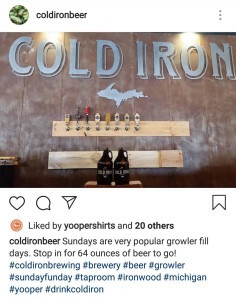 Cold Iron Brewing, Ironwood (104 S. Lowell St.) – One of the newest additions to the Upper Peninsula Brewery scene, Cold Iron offers a laid-back taproom located just minutes from endless outdoor recreation opportunities. Try favorites like Ayer Street Amber, Copper Peak Pale Ale or Drift North IPA. You’ll also find seasonal limited release beers and frequent live music. 18. 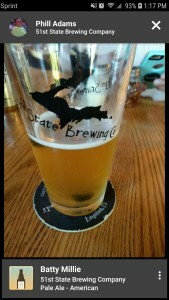 51st State Brewing Co., Kingsford (115 Harding Ave.) – With beers that pay tribute to local landmarks (Batty Millie, Ski Jump IPA) and a food menu highlighted by pizza, 51st State is a great addition to the Iron Mountain/Kingsford area. With many people visiting the area in winter to ski or in summer to explore outdoor adventure at Piers Gorge, this is a great stop for a thirst-quenching drink at a family owned and operated establishment. 19. 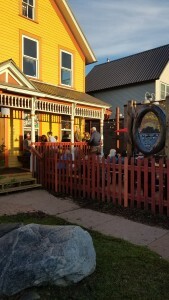 Upper Hand Brewery, Escanaba (3525 Airport Rd.) 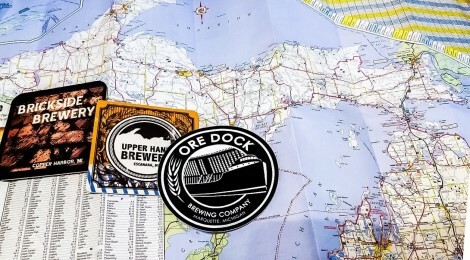 – When Upper Hand Brewery first made its way to the U.P., it was as a production only brewery making six-packs of Escanaba Black Beer, Upper Hand Lager, and UPA for stores across the U.P. A few years late, you can find cans of Upper Hand just about anywhere beer is sold north of the Mackinac Bridge, and their taproom is open for some limited release and small batch beers to go with all of your favorites. Seasonal favorites like Christmastime (stout), Double Ringer (IPA), Laughing Fish (German-inspired summer ale) and Deer Camp (amber lager), are all worth trying and also available in distribution. Taproom specialties include a barrel-aged baltic porter, Slapkneck Sour Ale, SISU Stout, and The Sermon (Belgian golden strong ale). 20. Hereford & Hops, Escanaba (624 Ludington St.) – Escanaba’s downtown is full of historical attractions, small-town shops, and great restaurants. Hereford & Hops offers just about any food option you could want that involves meat, as well as a hibachi grill, pizza, and pasta. They’ve also been brewing beer for awhile, with options that include Whitetail Ale (golden ale – World Beer Cup bronze medal winner), Cleary Red (GABF bronze medal winner), Blackbird Oatmeal Stout (World Beer Cup bronze medal), and Redemption IPA. 21. 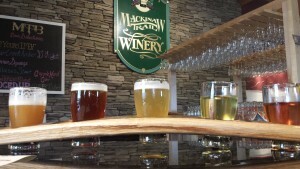 Mackinaw Trail Winery & Brewery, Manistique (103 W. Lakeshore Dr.) – Mackinaw Trail operates a winery and tasting room in Petoskey as well as a tasting room in Mackinaw City (wine only) and another tasting room “On the Harbor” in historic Manistique. Here you can try beer from 14 rotating taps as well as a wide selection of wines.